Anxiety is a symptom of not being in the present moment. We worry about what has happened in the past and what will happen in the future and this leaves us scattered, dis-integrated and in a heightened state of sensory arousal. Pharmacological “treatments” for anxiety mostly attenuate or deaden feeling state perceptions which explains why once the treatment is ended the anxiety promptly returns. There exist better, and alternative, treatments for anxiety which call upon consciousness work, dream work and mindfulness therapy and promote a profound and enduring state of consciousness we call Presence. From this centered state we can engage and embrace all of life’s experiences with balance, calmness and peace. A fundamental principle of this work is that material (instinctual energies, feelings, emotions, beliefs, etc.) that we do not carry consciously, which is not in our waking state awareness, is often carried by the body in the form of physical, behavioral and/or emotional symptoms. Using an approach of bringing this unconscious material to our awareness without self-criticism or judgment, of examining our beliefs and understanding how they inform and affect our physiology, introduces a process of healing which helps to free us from the seemingly endless experience of feeling anxious. Another fundamental principle of this work is that we cannot heal or even attend to a problem or challenge when fixed in the state of consciousness of the problem. This means that we learn to shift our perspective, to expand our awareness, to dis-identify with our problems so that we can gain a new viewpoint and proceed on the journey to authentic healing. Mindfulness is a journey not a destination. 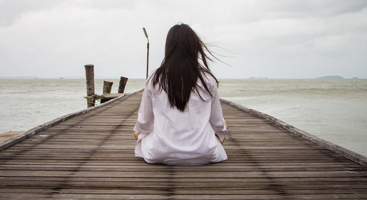 We practice mindfulness-based stress reduction to honor the call of an interior life…when we seek a deeper experience than the day-to-day intensities of surface consciousness, when we seek to move through anxiety, depression, reactivity, fear of aging, fear of incompetence or inadequacy and other energies which fracture us.